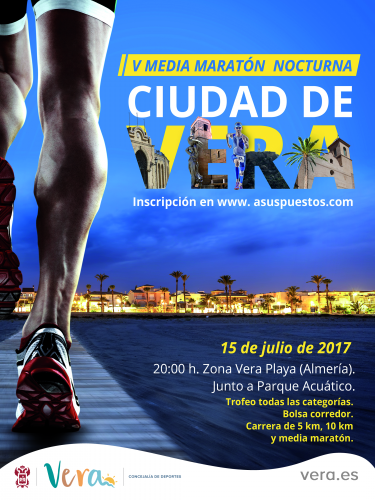 Vera is the preferred destination for the lovers of light, sports and quality of life and it´s one of the most important trade centers of the coast of Almeria. Its offer of sun and beaches, as well as its historical, cultural and gastronomic wealth are well known. For this reason we want to focus on an aspect perhaps less known of Vera, but with tremendous possibilities: sports. The promotion of beach tennis is the mission of the Indalos Beach Tennis Club. It offers an open space where we can practice this sociable sport outdoors with all kinds of people and of all ages. 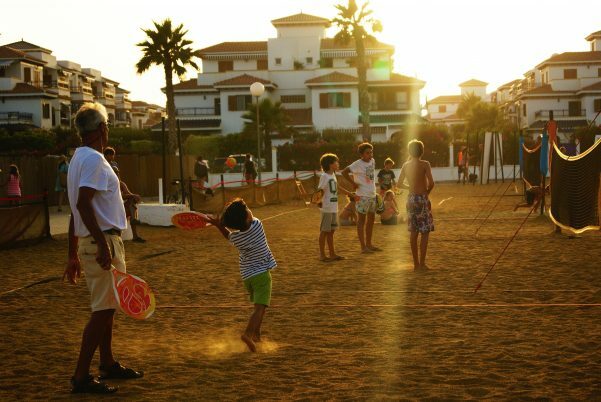 The club has more than 20 courts by the beach and offers activities for kids and adults. It also organizes 7 summer tournaments, in addition to making the beach tennis summer school available to all. The courts of the club are a perfect place for anyone who wants to improve the tactics and techniques of this sport and to have the possibility of participating in competitions. Children and teenagers have found in this location at Vera Playa a meeting point where they learn a new sport, do exercise, make new friends and have a lot fun, either with family or peers. If you want to get fit to play beach tennis then you can join the classes designed by Indalo Beach Tennis, which are thought to help you get into shape. It’s a high intensity training circuit of 1 hour which alternates cardio exercises, power exercises and muscle toning. At Vera beach, the Club deportivo Puerto de Rey sports club is open to the public and specializes in tennis, paddle tennis, golf, gym, sports activities and relax. The sports facilities of this club occupy over 100.000 m² and have been renovated in 2013, so that practicing your favorite sport can be a total pleasure surrounded by palm trees. Among its facilities is the Escuela de fútbol de tecnificación football school, founded as summer sports school specialized in football for children and teenagers between 4 and 18 years of age. Its goal is to promote sports in the municipality and nearby villages, as well as among the tourists. There are also 11 floodlit paddle tennis courts with artificial grass, two of which are of glass and with newly installed grass in 2013. If you prefer to play tennis you can book one of the 6 floodlit courts of the club. If you want to get in shape you can visit the gym, newly equipped in 2013. An expert group of qualified teachers give you the necessary orientation and will help you to reach your goals. If you prefer you can visit the complementary techniques center where experts in naturopathy, homeopathy and osteopathy will give you personalized advice on how to improve your wellness and quality of life. Nautical sports are given special attention in Vera and if you like sailing then you will find an unbeatable opportunity to practice your hobby. The Escuela de Vela Over Limit sailing school is situated at the Playazo de Vera, with everything ready so that you can have fun on the beach this summer practicing your favorite nautical sports. There are many options for everyone who wants to learn sailing.. The smaller ones can start with boats of the optimist class and minicatamarans and for all the other ages we have available the star sailboat, the catamarán. Do you prefer some action? Then you can do windsurf or kitesurf, ride the waves in a canoe, try to keep your balance while paddlesurfing or have an exciting ride on a huge banana with your family. The Over Limit group was created by several companies of the tourist sector with the goal of offering a high-quality integral service, giving additional value to the clients. Each of the companies is specialized in leisure activities, active tourism, or events and incentives adapted to different target groups. Guided tours in kayak, kayak rent, handbike tours, trekking, inclusive trekking, multiactivities, activities for groups and much more is offered by Natural Kayak, a company which is specially concerned with accessible active tourism. 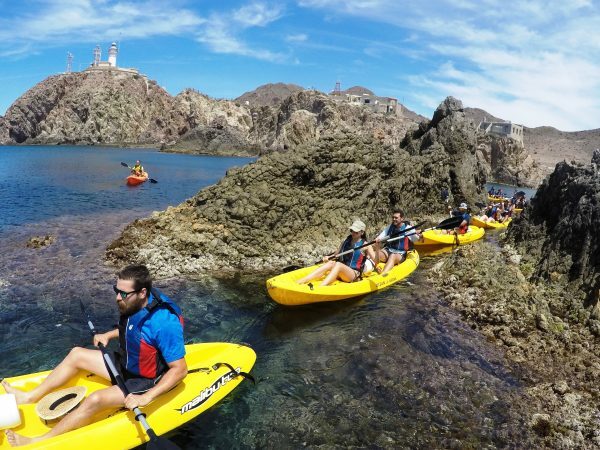 The Parque Natural de Gata-Nijar natural park and the east of Almeria are where all the activities take place and where the joy of practicing sports combines with the joy of doing it outdoors and surrounded by nature. Natural Kayak conceives the combination of sports and nature as an ideal way to include people with disabilities and for this reason all the activities are thought and designed so that everybody can take part in them, either with specially adapted or conventional material. Furthermore, the staff is highly skilled in attending any kind of special requirement. They will provide all the fully adapted material, so that any person with any kind of physical disability can accomplish all the tours and activities. For this reason we will find adapted kayacs, handbikes, amphibious wheelchairs, sports wheelchairs, adapted games, etc. Their commitment includes environmental protection, reason for which they help to clean the beaches and sea, as well as promote environmental awareness with all the clients. Creating fondness and encouraging respect and care of animals are the main objectives of the Club Hípico Vera riding club. At the club, the future equestrians are introduced to the horse riding world with dynamic, didactic and, above all, fun classes through the different disciplines, such as dressage, jumping, turning, crossing, etc. It’s a very appropriate place to go with your children, because there are ponies of different heights, from 1m to 1’40m, so that everyone can join the initiation classes, whatever the ages of the little ones. 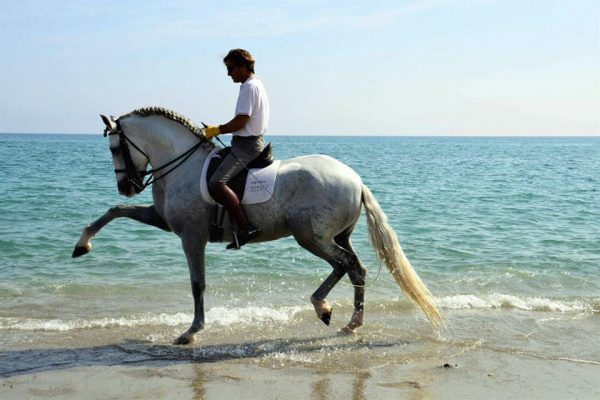 They also have 8 medium-sized horses available for classes with children 13 years and over. If you like horses this is the right place for you. At the Club hípico Títu riding club they prepare the horses and equestrians for competitions, organize birthday parties with ponies and animation and perform shows. 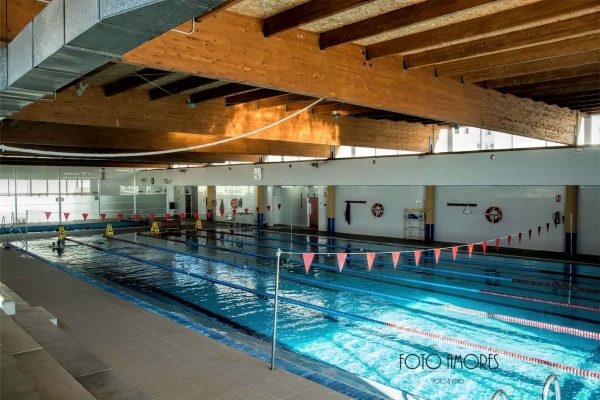 Here we find a 25 m pool, a pool for swimming classes, a gym, a fitness room, spinning, targeted activities and crosstraining, swimming classes and sauna. Aqua Sports stands out for it’s sports offer with a wide range of activities. Agua Sports Vera is suitable for everybody: families, recreational swimmers, profesional swimmers and teams. The technical staff of experienced sports professionals will advise you at all times to achieve your objectives. The indoor pool is open to everybody and all ages for swimming, to attend beginners or advanced swimming courses or for training. The motor and nature lovers also find many possiblities to have fun in Vera. The Club Andinas Racing offers tourist routes through the more than 1000 km of roads and trails across the province, going through desert landscapes and dry riverbeds. Together with the landscapes and the four-wheel vehicles, the hotel and restaurant services of the east and north of Almeria are a perfect complement to visit this club and to take part in one of the tours. 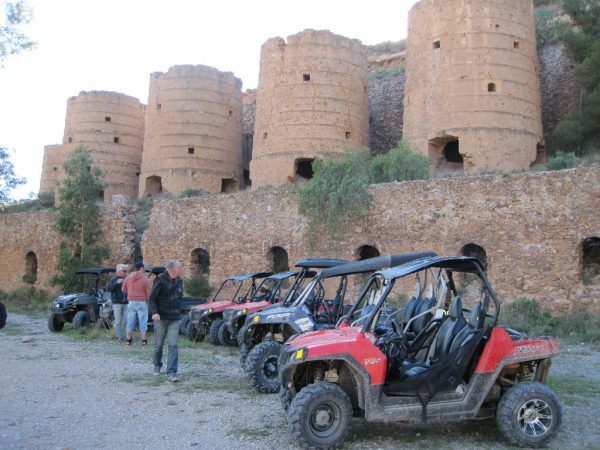 The routes are made using 4×4 Polaris buggies, which are driven by the clients without any limitation concerning the mechanics of the cars. 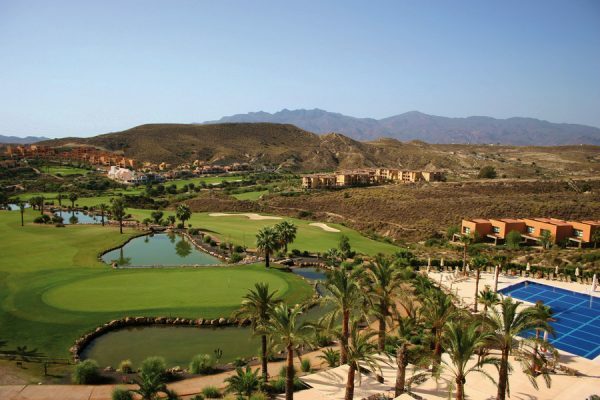 This Golf Club was designed by José Canales in 2003, with 18 holes, each of a different design, emphasizing the contrast between the green grass of the golf course and the golden colour of the desert-like surroundings. The training ground consists of a field of more than 300 meters long with tee mats and ball machines, so that the golfers can play at both ends of the ground, three putt and greens and an ample approach area. Another detail, which the golfers always like, is the location of the hotel in the heart of the golf course. so that the tees of holes 1 and 10 are close to the hotel as well as the greens of holes 9 and 18. Enjoy the beaches of Vera and run at sea level taking part in one of the flattest races of the national event calendar with a circuit adapted for 5K, 10K and half marathon. Races: basic categories 7 pm and adults 8 pm.